Fathers-to-be, fearing those new baby scenarios that’ll jeopardize your masculinity? 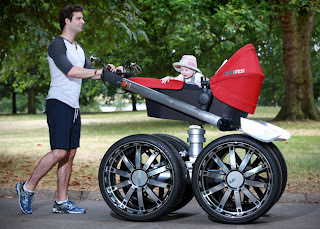 Here’s your chance to overcompensate with the vRS Mega Man-Pram stroller from Skoda. 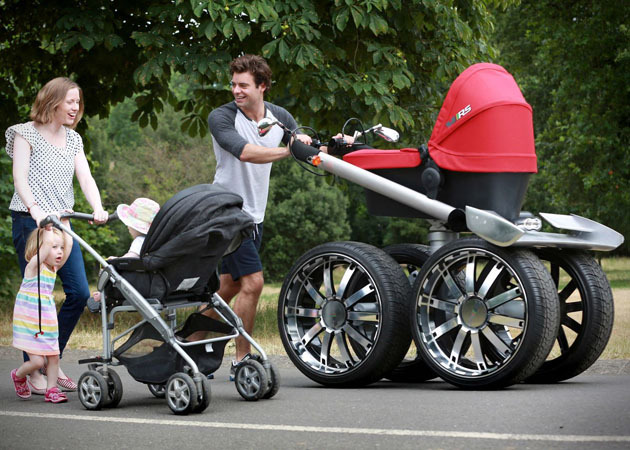 This manly stroller is equipped with 20 inch alloy wheels, hydraulic suspension, anti-stress grips, and more.